PC: Paisley Park Atrium provided by Paisley Park-NPG Records. CADL Executive Director, Scott Duimstra talks about millage and provides updates on StoryWalks and Williamston move. 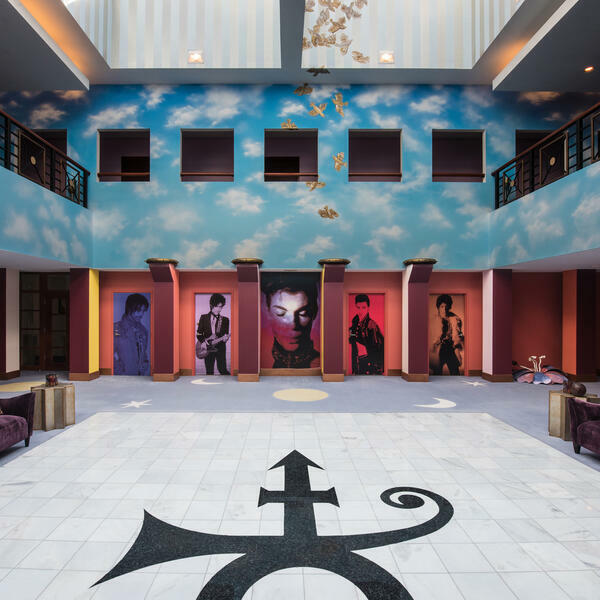 Mitch Maguire, Tour Operations Manager for Prince's Paisley Park Museum talks about the extraordinary private estate and production complex in Chanhassen, Minnesota. CADL Associate Director, Jolee Hamlin shares why Libraries Rock! CADL's Library of Things Guru, Jessica Goodrich highlights new items in this popular collection. Jim Flury from The Library Network discusses the Michigan Activity Pass. Get tips on how to reduce your debt from MSUFCU's Ian Oberg. Plus, listen for the CADL Keyword for a chance to win tickets to Disney's The Lion King.